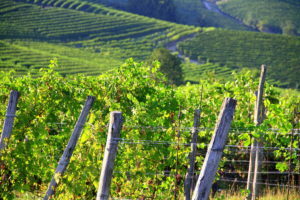 The wine landscape of the Langhe is now universally recognized as one of the most fascinating example of synergy between man and nature: the landscape is educated to viticulture with such an expertise that created breathtaking views at every turn of the road in this incredible geographical area where sone of the most famous Italian wines such as Barolo and Barbaresco are made. No matter how many times you’ve heard of this unique and emotional landscape, you cannot fail to appreciate it once there. 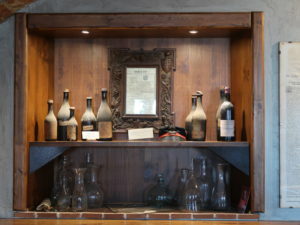 Starting from Turin we will take you to one of the most prestigious Barolo production and aging cellars in the regione of La Morra, where, after overlooking from the highest panoramic terrace of the langhe region you can sample a set of Barolo wine accompained by carefully selected local products to enhance your tasting experience. 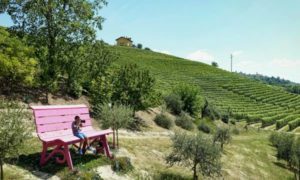 The, after a break to sit on one of the giant benches scattered among the vineyards that represent the real jewels of this land, you can choose yourself which wines to taste in one of the regional wine shops kept in the medieval castles of the area. The return journey will be pleasantly inebriated.